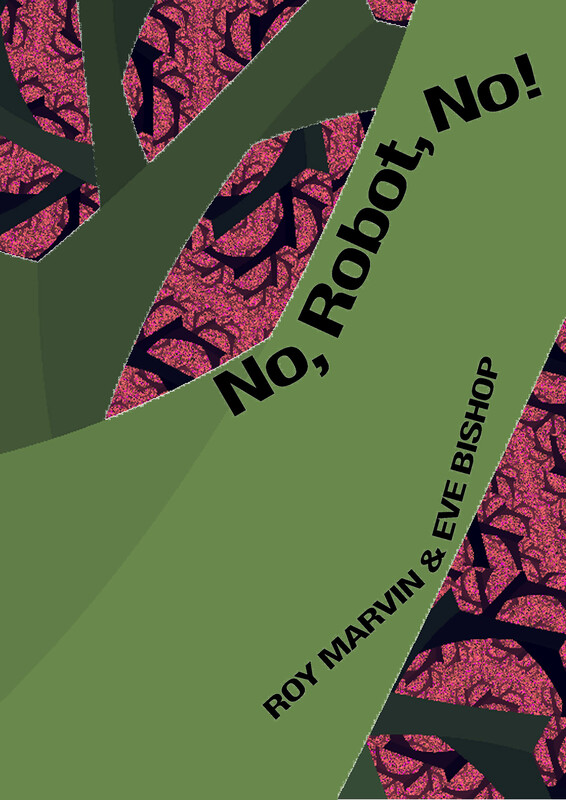 Roy Marvin and Eve Bishop, the authors of No, Robot, No! are in fact, as you probably know, Jon Stone and Kirsten Irving, the maverick power-couple behind Fuselit, Sidekick Books and other delicious projects. Jon Stone writes here that the reason for the pseudonyms was that Irving didn’t feel ready for a debut pamphlet, but whatever the reasons, this adds an extra layer of playfulness to an already lively collection. We learn for instance that Roy Marvin is ‘a community service bot who writes poetry during his oil changes […] He can’t wait to see his first real squirrel’. 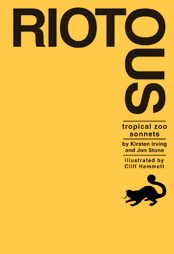 The pamphlet is made up of some poems previously crafted by Irving and Stone along with some new collaborative work using various imaginative methods such as the domino (‘Players write alternative stanzas, making the first line match up phonetically with the second line of the previous stanza.’) or variations on the pleiadic verse (‘a form devised by Vera Rich’). ‘Birds’ and ‘Screwball’s Winter Bonanza’, which use the domino technique, have a satisfyingly rich sound landscape. 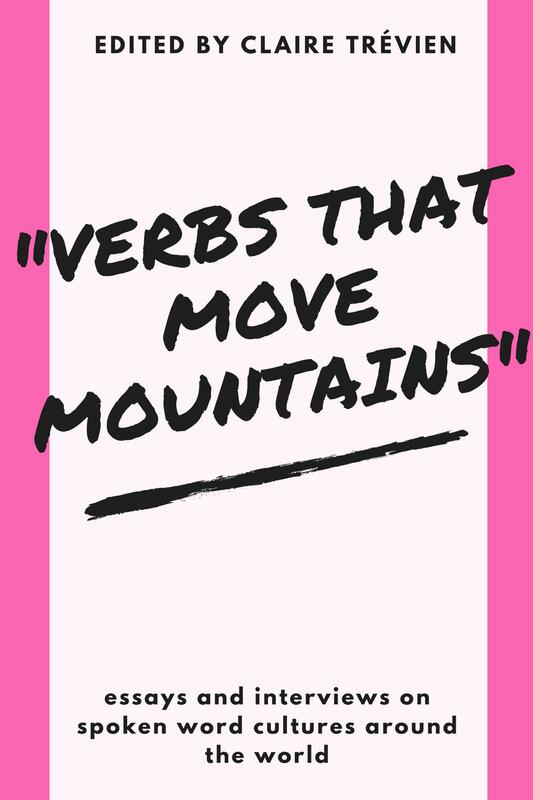 Having the lines phonetically echo one another feels less obtrusive yet more pervasive than rhyme, to the degree that one has to forcibly jerk back from the trance-effect of the sounds in order to scavenge for meaning. This is easier to do with ‘Screwball’s Winter Bonanza’, an ad aimed at robots, ‘[w]ith deals on all the latest tics and habits’. The poem is a competent satire at its best (‘a tangled toy’s ennui’, ‘taste for mangled wisdom’) plain odd at its worst, ‘witch’s fervour’ is more sound-driven than sense-driven. soft in your memory circuits, just like fur. Attempting to grasp the whole meaning of this poem is a satisfying endeavour, but is not necessary to an ‘enjoyment’ of the piece. The poem throws at you waves of pain, of disgust and frustration whether you’re looking for them ‘behind the skirting’ or not, demonstrating how echoes, when slotted together properly, can be powerful tools indeed. ‘Sweet Death 500’ has lost none of its punch in being transferred to a different selection of work though the formatting does it less favours. This is the biggest criticism of the pamphlet: the titles’ fonts make them barely-readable whilst the longer poems are unnecessarily cramped. More than just a poem about a woman’s robot play-thing, the poem works as a comment on its own existence: is it simply a mechanical updating of a poem, or a creative enterprise in its own right? Like a good translation the updating grabs the essence of the original, you can imagine Catullus throwing an ‘exeunt knickers’ in for good measure. The range of poems found in No, Robot, No! is satisfyingly varied going from light imaginative poems, to equally imaginative poems that hurdle bolts at you. This is collaborative writing at its best: fruitful, fresh, with both Stone and Irving’s writing benefiting from the alliance. 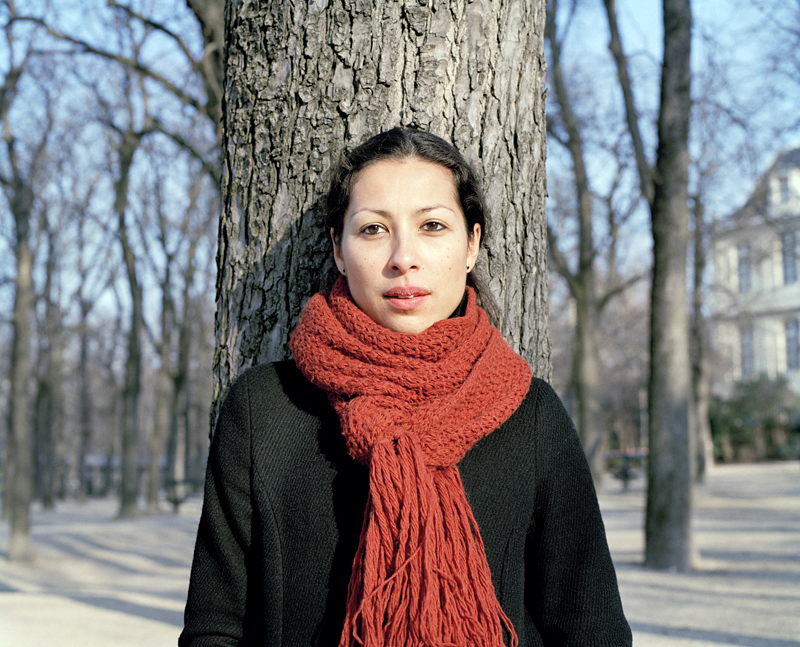 Forest Publications are a part of Edinburgh’s The Forest, which includes an alternative art gallery, a performance space featuring nightly live music events and a vegetarian café. It is one of the hippiest venues I have ever been to, it’s run by volunteers, you get to sit on the floor to listen to the free events if you want to, and it works by a donation process. It was an integral part of my experience of the Edinburgh Festival, the non-commercial, exciting and open-access side. Unfortunately, due to its landlords becoming bankrupt, The Forest needs to buy its premises. It has raised £20,000 so far and hopes to raise £50,000 by 1st June. So if this pamphlet interests you at all, think about donating directly to the Save the Forest fund here.We need places like The Forest, places that support the young, that aren’t driven by corporate greed, that have a real personality and history (unlike our clone-like high streets) so please think about donating a little. Excellent post thanks for sharing. I enjoy reading and writing poems very much. It’s very relaxing. Thanks again.